Barometers manufactured by Springfield provide weather information as well as adding a decorative touch to a room. Barometers predict the weather based on changes in air pressure that is caused by the weight of the atmosphere pressing on everything on the surface of the Earth. If the pressure increases from day to day that indicates a high pressure zone approaching and fair weather. If the pressure is decreasing that indicates a low pressure zone approaching and possible rain, wind or snow. Obtain the current barometric pressure in your location from the television, radio, or online weather sources such as The Weather Channel, Weatherbug or Weather Underground. 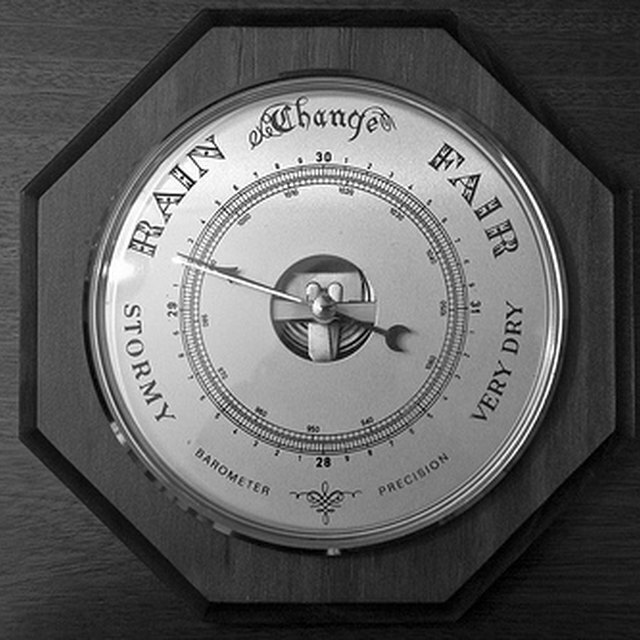 Ensure that the barometric pressure reading was taken at about the same elevation as your Springfield barometer. Locate the recessed screw in the back of your Springfield barometer. Turn the screw with the screwdriver while monitoring the front of the barometer. The screw will move the large hand, and you want it to point at the current pressure. 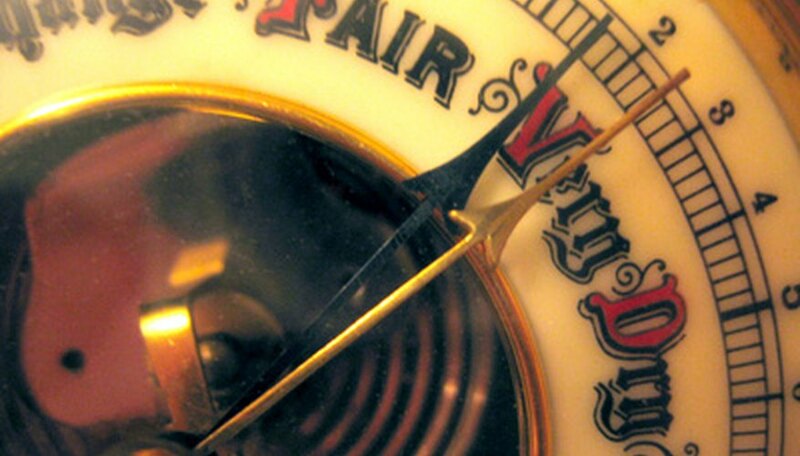 Locate the knob in the center of the barometer on the front of the instrument. Set the small hand using the knob, so it is directly over the big hand. You should set the small hand every day at the same time to accurately what the air pressure changes have been. Rose, Kasandra. "How to Recalibrate a Springfield Barometer." Sciencing, https://sciencing.com/recalibrate-springfield-barometer-7672789.html. 24 April 2017.